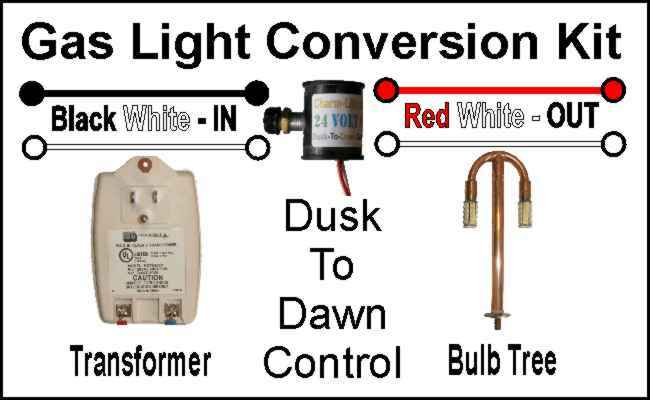 Gas Light Conversion Kit [DIY1] - $89.95 : Gas Light Conversion to LED!, Looks like a Gas Light! We use 24 volts to power the 2 bulbs in series: 12+12=24. 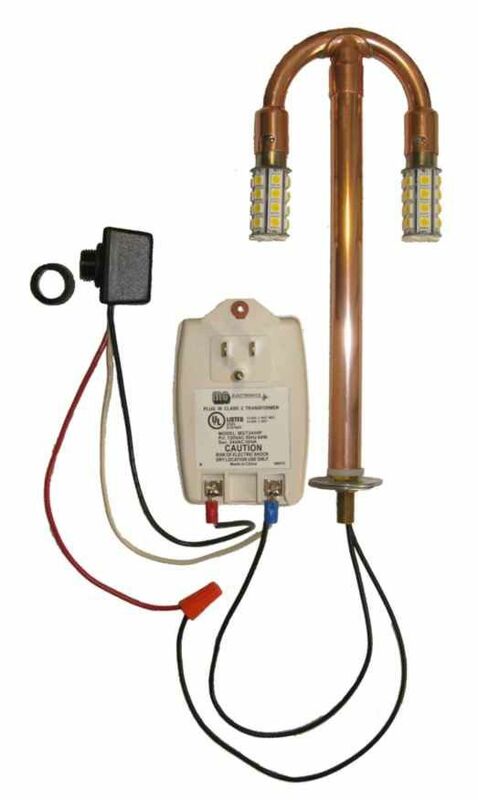 Guides are offered in each conversion kit, however, homeowners may exercise the option of hiring a professional installer through Charm-Lite or hiring an independent contractor. Consumers may also consult our website or call the Charm-lite helpline for additional information and advice. Consumers, when considering installation options, should consider individual home environments and conditions. A professional may be necessary. You also have a choice of LED bulbs with choices in brightness for a HUGE discount. We highly recommend you take advantage of the LED bulbs as they last over 5 years and cost less than $4 per year in electricity. They are all a warm white in color rendering with that "Looks like a Gas Light" woof and warp of a gas mantle. You will need to order gas caps, plugs, and wire, separately. The copper will patina. We use inhibitors to slow the process your bulb tree will age over time to a beautiful old world finish. 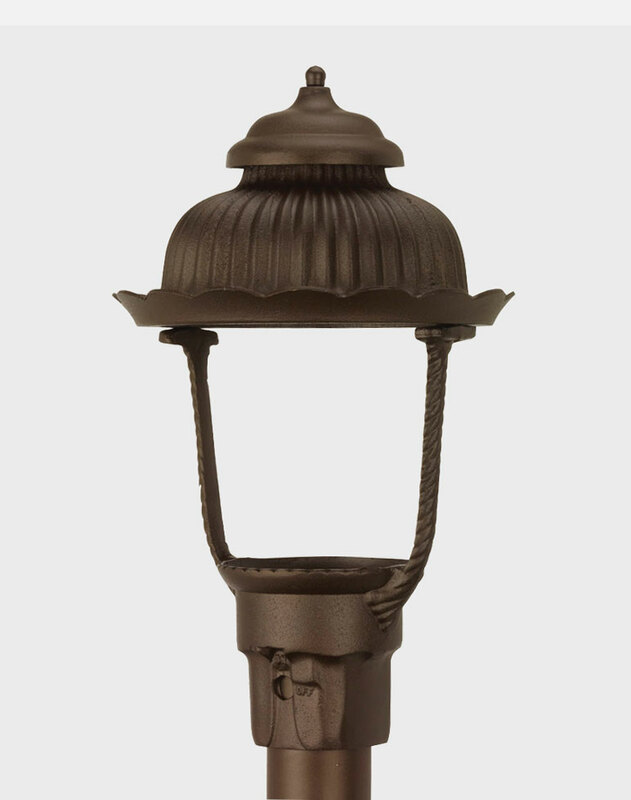 Comes with a standard 1.5" all threaded mount or upgrade to extended 3" threads necessary for a boulevard lamp available upon request.